Let’s kick this shindig off with a look at the one hour chart of the NZDUSD! It looks like the pair has been experiencing some cold feet, as price has been consolidating within a descending channel. My only question is – how much longer will the channel hold? If the falling resistance and support lines fail to hold, we could see price test former highs and lows at 0.7195 and 0.7007 respectively. 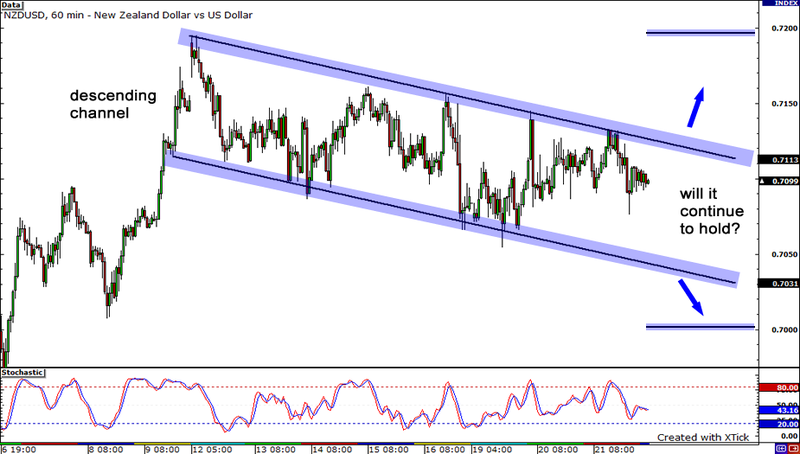 Dude, check out how the AUDUSD’s been surfin’ up that nice rising channel nicely on the 4-hour! Judging from the downward pointing stochastics and how price just bounced from the minor falling trend line resistance, it looks like we might see a retest of the bottom of the channel. 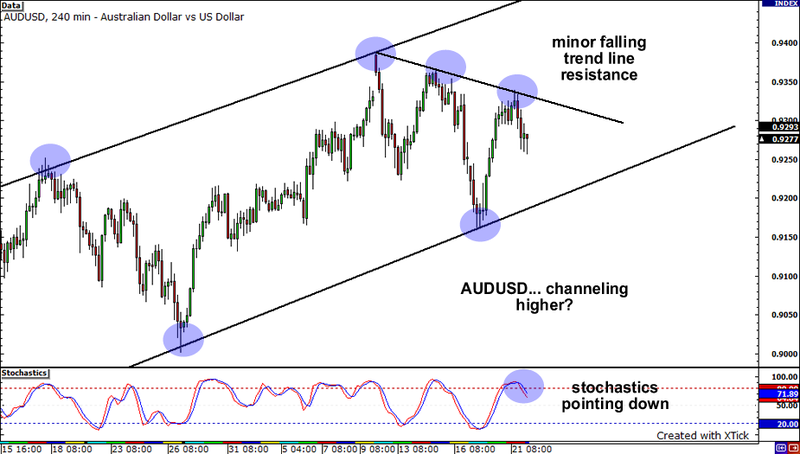 For the mean time, keep a close eye whether the lower boundary of that rising trend line holds, as it could be another point where buyers jump in the overall trend and buy the AUDUSD. 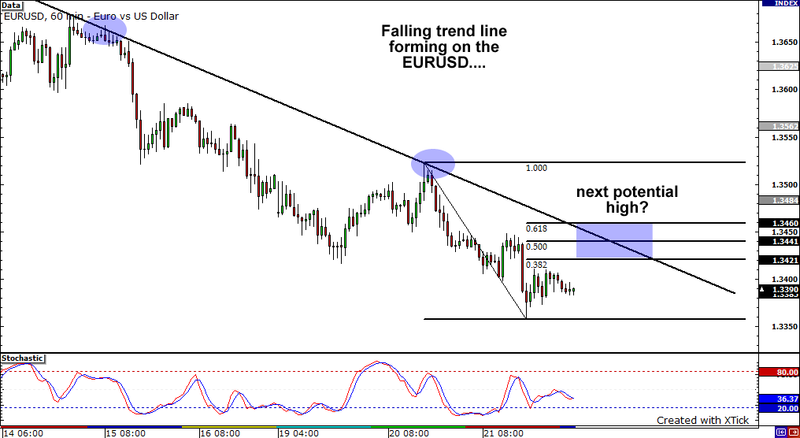 After bottoming out at 1.3360 yesterday, it looks like the EURUSD is ready to retrace some of its gains. If we do see the EURUSD move higher today, keep a close eye out for that falling trend line and those Fibonacci retracement levels, as sellers could start jumping in again at that area. On the other hand, if price doesn’t get that high, watch out for a break of the previous day’s low at 1.3360.